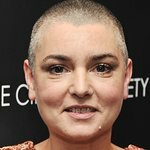 Sinead O’Connor is an Irish singer/songwriter. She appeared with Roger Waters at the 1990 concert celebrating the fall of the Berlin Wall. Google trends for "Sinead O'Connor"